Today, we commemorate the 100th anniversary of Nelson Rolihlahla Mandela’s birth. An icon who made a selfless and timeless contribution to society. He was a true luminary, who inspired hope and urged a nation to act against the brutal yoke of Apartheid. Today he is hailed as an icon across the globe. Tata Madiba was a servant of South Africa’s people, who led by example. He showed us strength and resilience and he used these traits in the face of unbelievable hardship and adversity. Despite spending 27 years in prison, he was willing to reach out and forgive those who perpetrated injustices. It is on this day, wherein we are thankful for his life. Let us, on this day recommit ourselves to preserving his legacy. Let us recommit to building a country free of racism and injustices. As Muslims, we can co-exist with our fellow citizens without sacrificing our traditions, norms and Islamic Identity. Let us recommit to producing good, God-fearing citizens who influence the moral fibre of society. It is, therefore, imperative that we nurture ethical, just leadership for our land. Let us recommit to act against poverty. It requires social mobilization and should be the responsibility of each one of us. Today, we celebrate a great man by giving 67 minutes of our time to society. Let our good deeds not stop there, let it continue, as we strive to make South Africa – and the world – a better place for all. On this day, we cannot forget another oppressed nation who was close to the heart of Tata Madiba — the Palestinian people. They continue to suffer under brutal Zionist occupation. 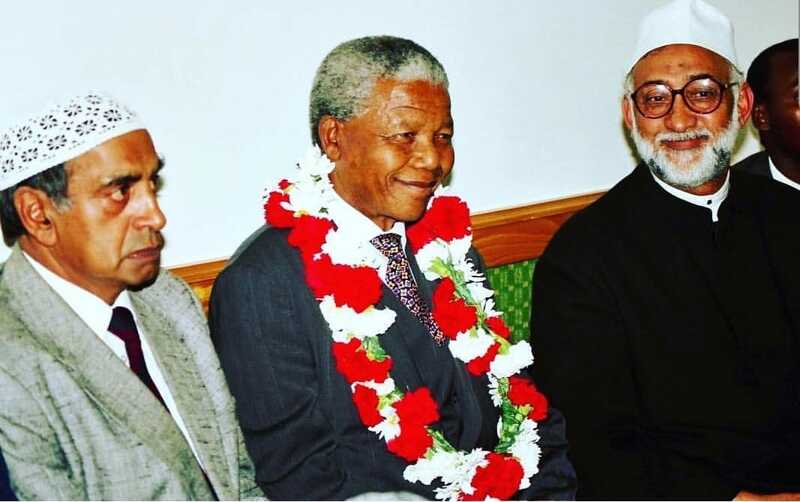 South Africans will always support a free and liberated Palestine as espoused by Nelson Mandela when he said, “We know too well that our freedom is incomplete without the freedom of the Palestinians”. In conclusion, the MJC sends their thanks to His Royal Highness Nkosi Zwelivelile Mandela and the Mvezo Traditional Council for their invitation extended to the MJC to attend the Nelson Rolihlahla Mandela Centenary Celebration to be held at Mvezo Komkhulu, his place of birth, today. We are indeed honoured to participate in this historic and memorable event.